It’s been a few weeks now since my light-bulb moment came and my golf swing is getting better by the day. 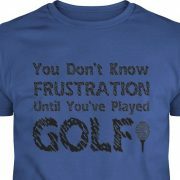 I am still struggling with focus on the golf course. 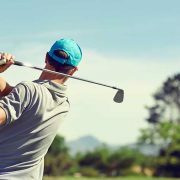 It turns out that it’s quite difficult to rid myself of the nonsense that I learned from some YouTube golf channels and my few lessons with a golf pro. 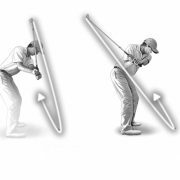 My default swing is still this mechanical movement taught by the pros. The step by step description of the swing. I still have to force myself to forget that BS and just concentrate on hitting the ball INTO a target. When I do that everything just works. Everything falls into place. I’m annoyed with myself for spending good money on golf lessons which only made my swing worse. But what’s done is done. I’m enjoying the new swing and I’m getting better at staying focused on a task rather than focusing on 25 movements and sequences and angles taught by the pros. I’m going to come up with a few drills that will hopefully allow me to swing by feel, just like Bubba Watson does. One thing that already worked is hitting balls with a 52 wedge. Precisely into a spot on the range. Not just whacking every ball somewhere into the distance. That is the mechanical way. I pick a spot. 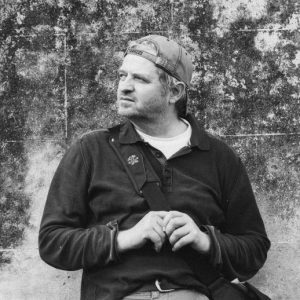 There is usually a marker, or even a basket at around 50 or 75 meters. I hit my balls precisely there. As close to it as I can. What it does is making me concentrate on the target. That spot on the range or that basket being the target. NOT the ball as the target, which is what I’ve always done and what everyone teaches. 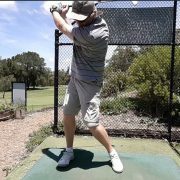 I’ve had amazing results last time I visited a golf range, just west of Sydney. I hit make 50 balls trying to get them into a basket. I missed most of them, but my mind no longer focused on the ball. It focused on the target. And what is even more amazing is that I was able to shape the flight of the ball. Drawing, fading, straight… with great results. What I’m trying is to get rid of is the fixation on the ball and the movements of my body when I swing the golf club. In other words, all the rubbish that golf pros teach. I’m trying to relate it to other sports. Say tennis. When I see a ball coming towards me, I do NOT consciously make my legs go into position, I do NOT make my body shift weight and when I look at the ball I do NOT try to just hit it. I have a target in the opponent’s corner I want that ball to go. And my body executes that task flawlessly. Well, more or less.. 🙂 There is NO conscious manipulating of my legs and arms. 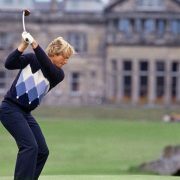 It must be the same with a golf swing, and the more I watch the old greats and Bubba, I am certain of it. Yes, they look at the ball, but their mind is giving their hands a task; use the club to send that ball into a target. THAT is the task, and it just works. After hitting about 50 balls with a wedge, I hit the rest of the bucket with the driver. Same rule applied. There was a 25o meter sign in the middle of the range and I did my best to focus my mind on delivering the ball there and hitting that sign. Almost every ball went in that direction, and that distance. Some I drew, some I faded. It was an amazing feeling to be able to control the ball flight with a driver. The one club that I was the most afraid of. The one that always gave me the most grief. I still mishit a few balls and after watching myself on a video that I did of my swing, I know I have to steady my backswing. My head is still going up which causes inconsistency. But even with that major issue, I still hit almost every drive about 250m and relatively straight. I’ll be working on a steady backswing next time I go. My main problem is that I take the club too far back, instead of up. Also, I am still moving my hips too much. I’ll be focussing on these, and I’ll think of some more drills to help me with focus on the target. 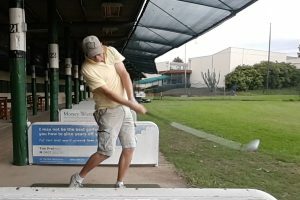 I just need to find a cheap driving range in Sydney to practice my golf swing. 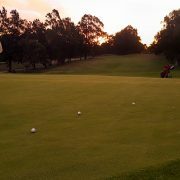 The driving range I went to, in Milperra, west of Sydney, is a bit far, but it is the cheapest I found so far.